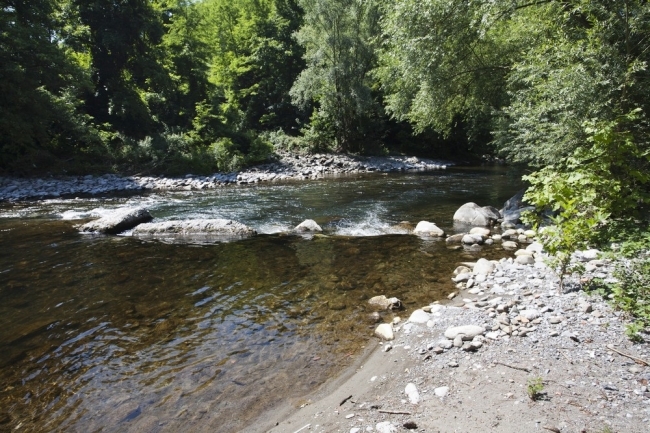 Known since Roman times for hot water thermal baths, the area of Bagni di Lucca and the Serchio valley attracted many famous visitors over the centuries. 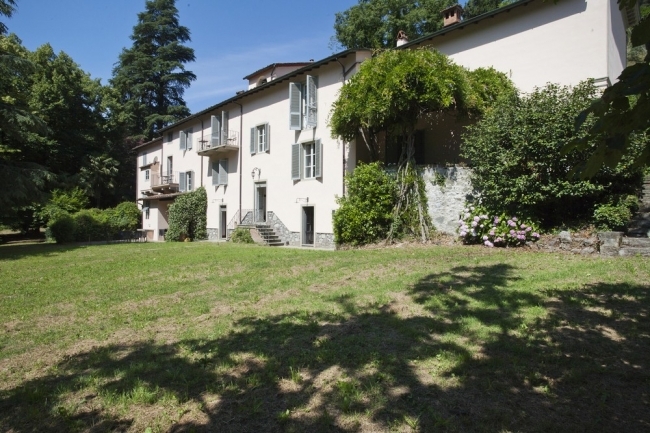 Although a small village, Bagni di Lucca has a many points of interest: a beautiful Anglican church, a municipal casino of the nineteenth century, the Ducal Palace and stables... In addition, it has a public swimming pool using thermal water (with a small pool for children) and tennis courts. 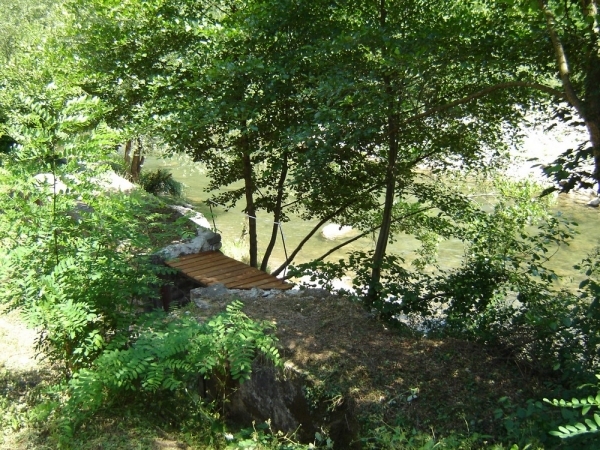 Bagni di Lucca is to be composed of two separate villages called "Ponte a Serraglio" and "La Villa", both bordered by the Lima mountain river where it is possible to fish or canoe. The surroundings offer many trails and paths for walking, hiking, mountain biking, or even horse riding with beautiful views over the valley. During the winter you can enjoy skiing in Abetone. 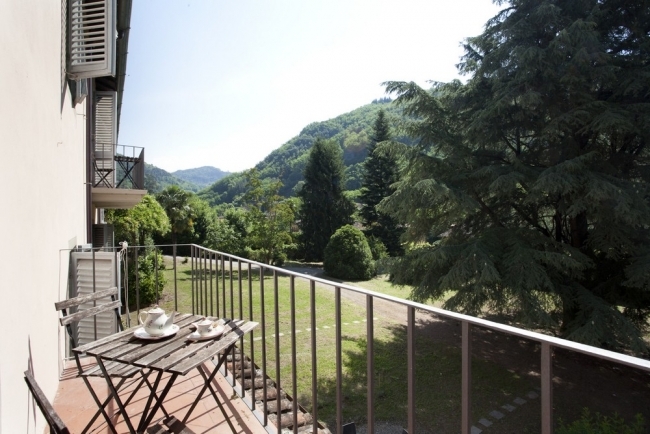 Riverside Villa – where is located Puccini apartment – is a property located at 500 meters from the town center where you can find restaurants, bars, little supermarkets and various shops. 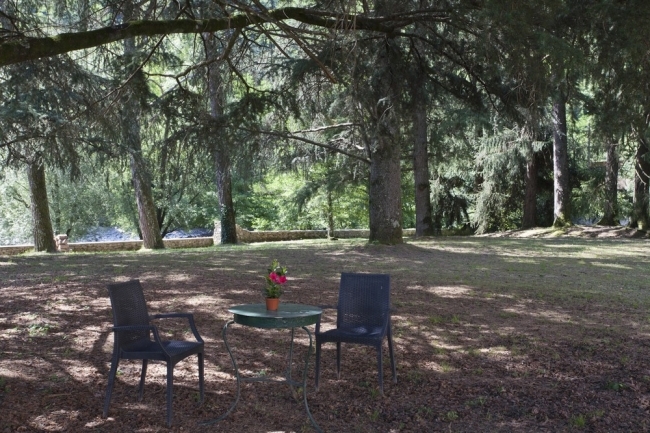 The villa is situated in a beautiful private park of 6000 m² sheltered by century-old trees and along the Lima river. A unique feeling of being in the middle of nature and its elements. 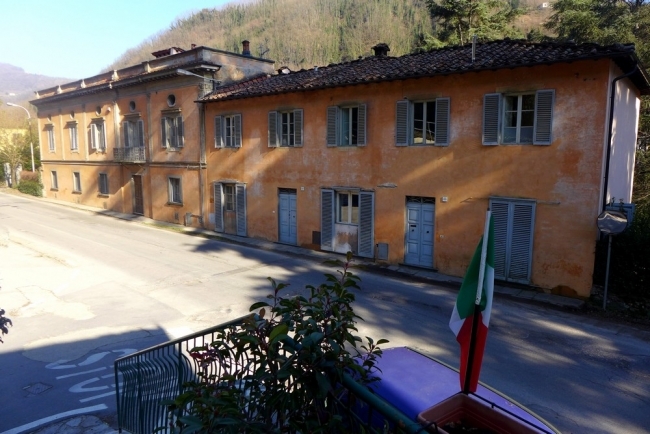 The village of Bagni di Lucca is well deserved by public transportation. 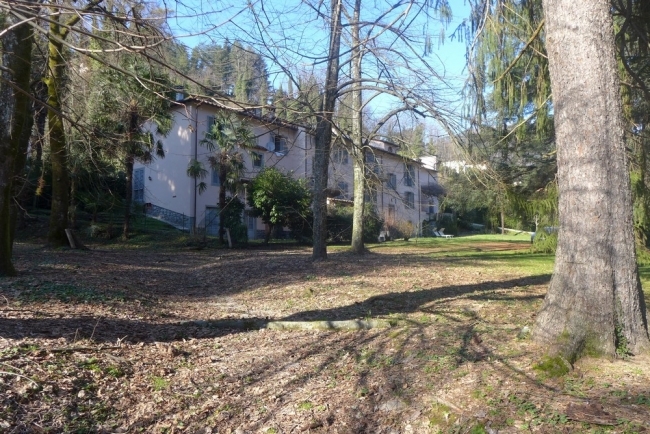 The train station is at 3.5 kms from the property (12-13 trains / day towards Lucca – about 3.10€ one way). You can also find a bus stop in the town center (bus going to Lucca, Florence, and other villages). 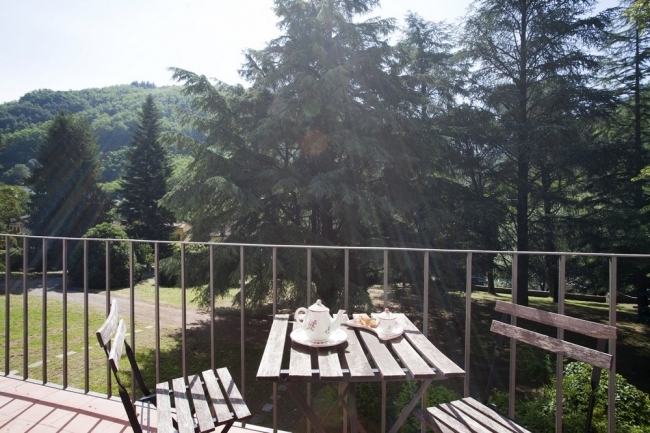 But you will be able to discover the mostly by car as Bagni di Lucca is surrounded by small medieval villages. In addition, Lucca is at 30 minute drive, Pisa is at 45 minutes drive and Florence at 1h15. The beaches of the Mediterranean coast (Forte dei Marmi, Viareggio, etc.) are less than one hour. 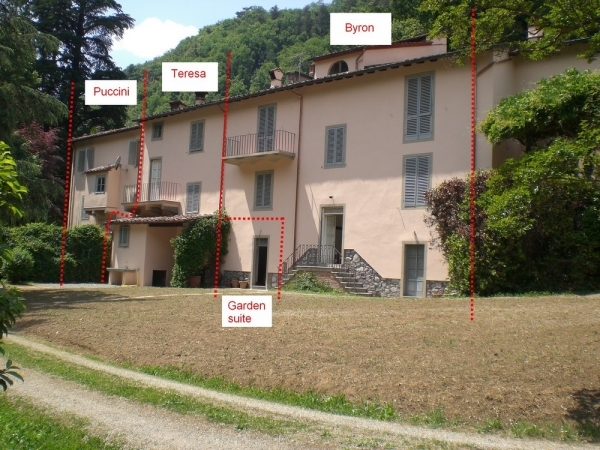 PUCCINI (120 m²) is located inside the Riverside Villa. 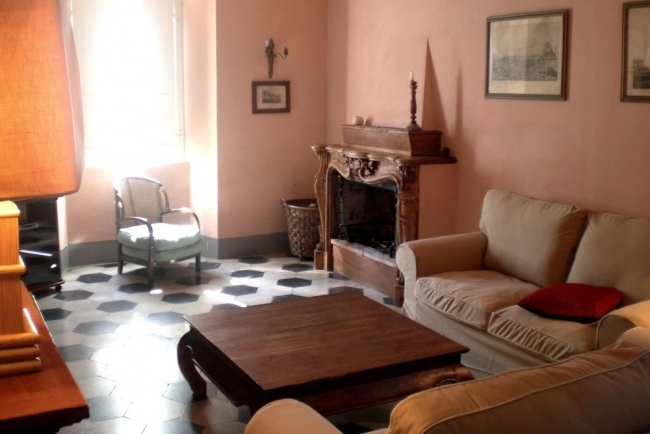 This apartment on 2 floors is a very charming and warm place thanks to its floor tiles and exposed beams. 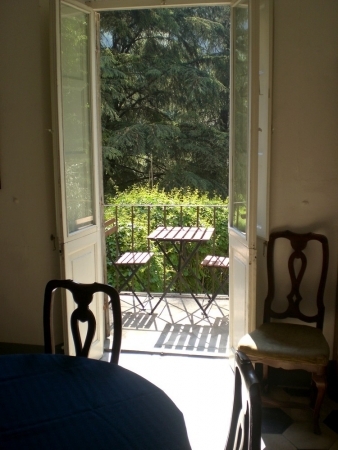 Thanks to its thick stone walls and wooden ceilings - typical in Tuscan houses -, the apartment keeps its cool in summer. 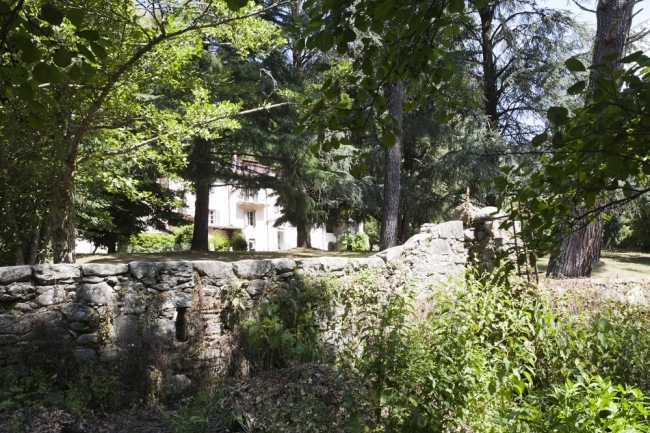 You enter the apartment through the street side of the property. a carved wooden fireplace, a library, a chest of drawers and a TV. 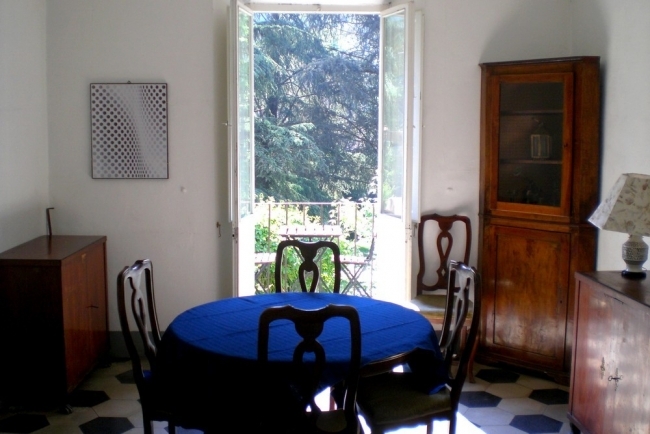 The dining-room (18 m², 1 window on the park, South East facing) is furnished with a dining table (up to 6 people) and a buffet. 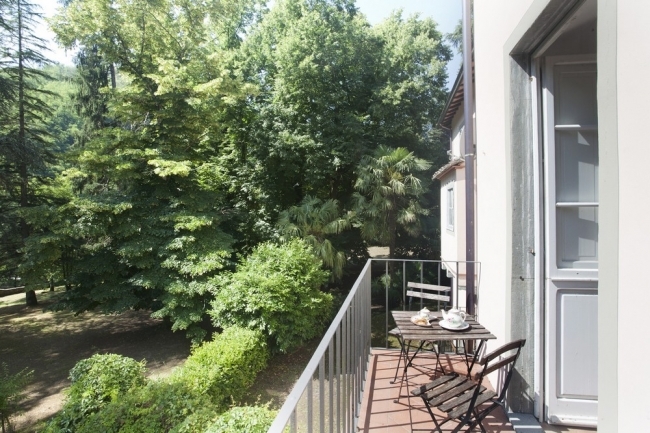 The kitchen (10 m², 1 window on the street, North West facing) is fully equipped: fridge, freezer, gas stove and oven. It also has a small table. 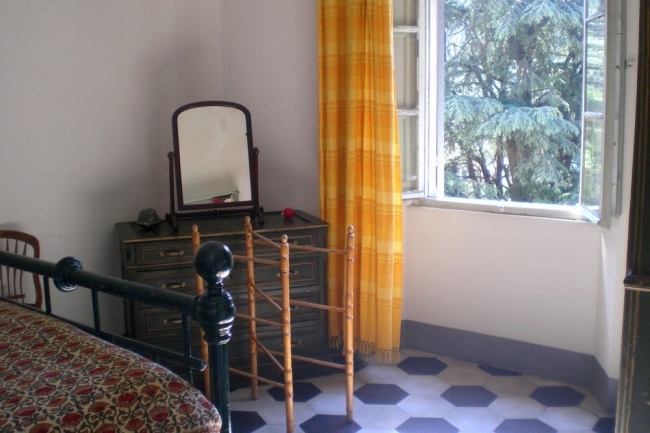 The first bedroom (16 m², 1 window on the park, South East facing) is composed with one double bed, a wardrobe, a chest of drawers, an antique trunk and a chair. 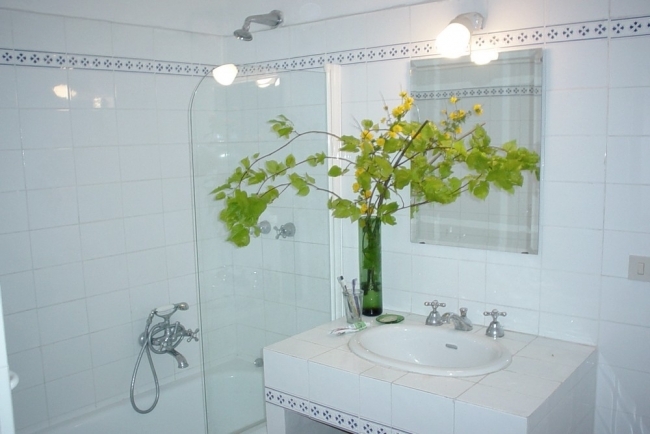 An ensuite and small bathroom (3 m²) is equipped with a shower, a sink and WC. 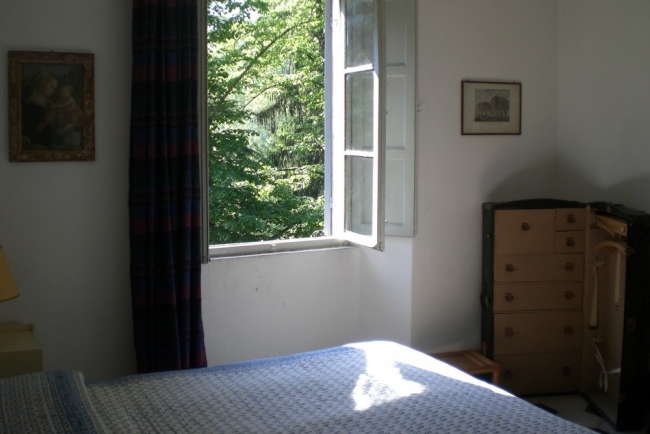 The second bedroom (18 m², 1 window on the park, South East facing) has a double bed, a wardrobe and a chest of drawers. 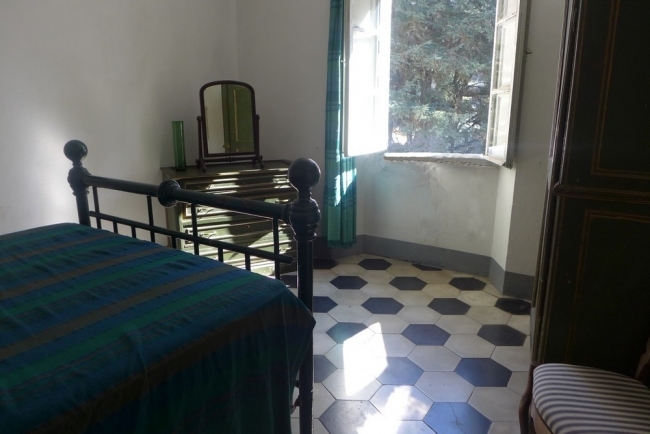 The third bedroom (10 m², 1 window on the street, North West facing) is composed with a single bed and a wardrobe. 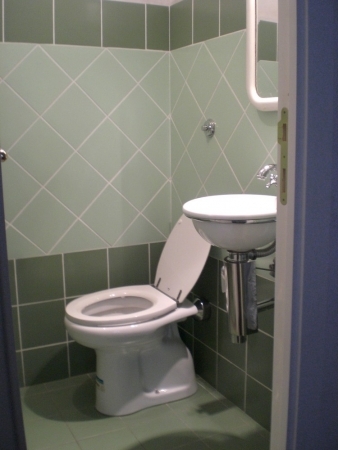 The second bathroom (10 m², 1 window on the street, North West facing) features a bathtub, a sink, a bidet and WC. 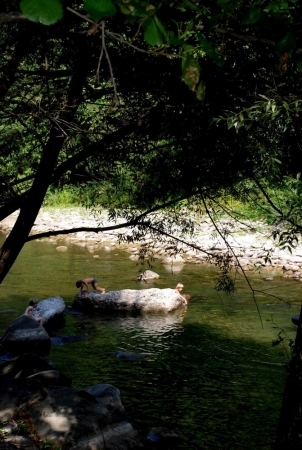 It is ok to swim in the river in summer (swimming unsupervised). Having a car is recommended. You can park your car inside the property.